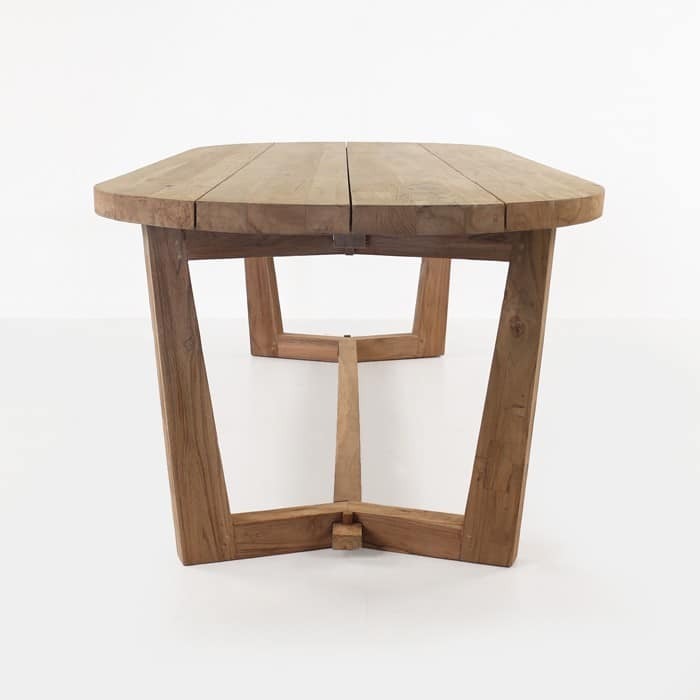 What a beautiful show-stopping table this is. 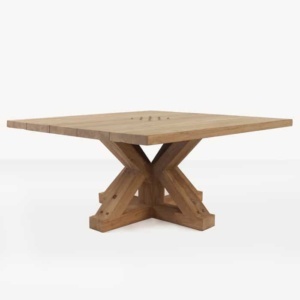 The graceful but overt presence of this table helps you realize just how special it is, before you even get the time to fully examine it. 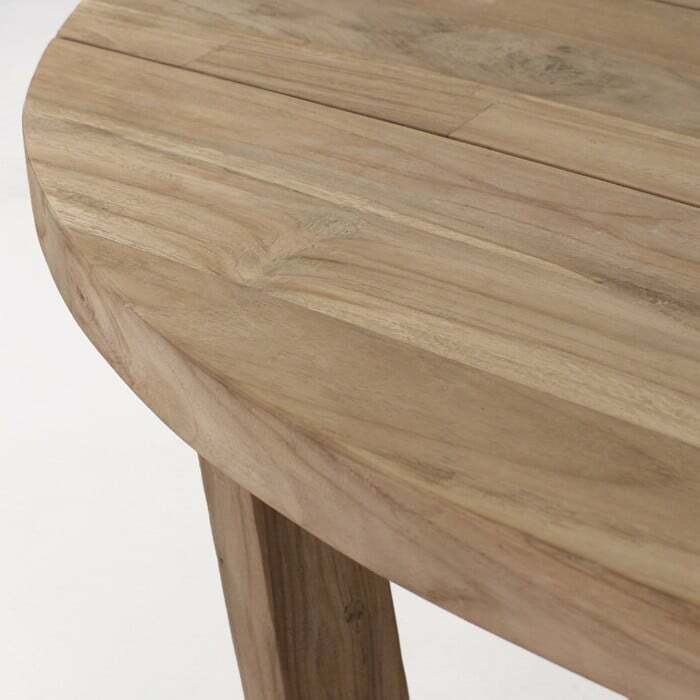 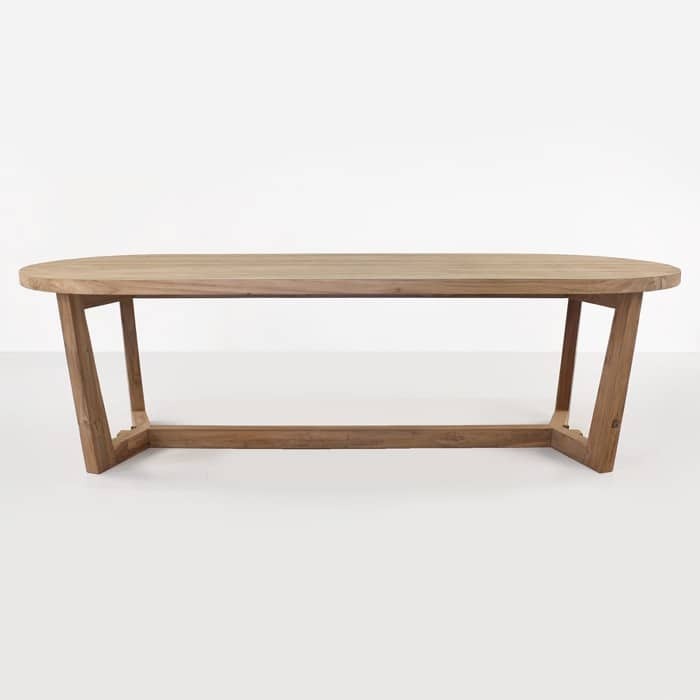 The oval tabletop is substantial; large and thick. 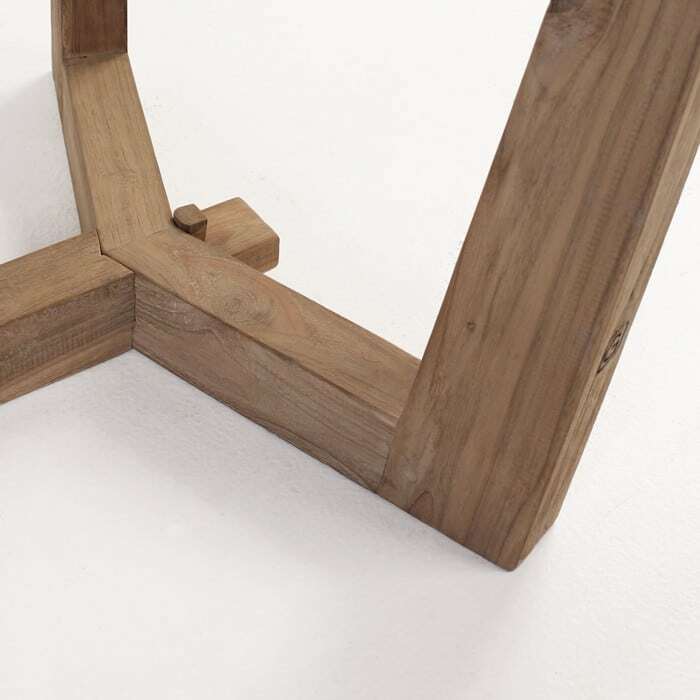 The table legs are constructed in a manner that makes it seem that this table was carved from a single block of reclaimed teakwood. 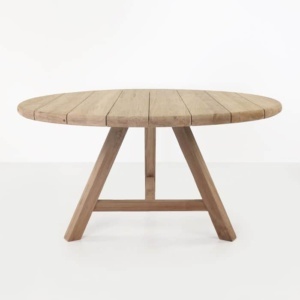 It has a contemporary look, but the reclaimed teakwood gives it that rustic, vintage excellence you’ve been waiting for in a table. 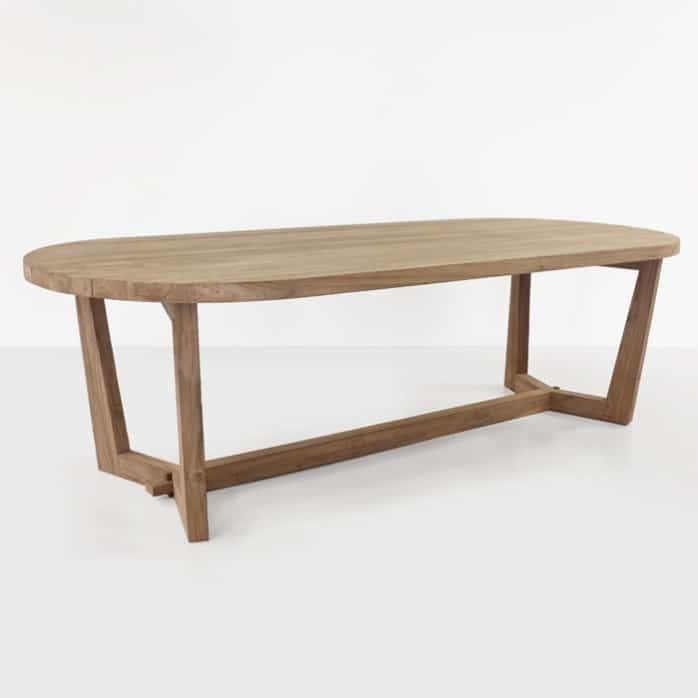 The elegant lines of the legs/frame are a perfect match for the thick tabletop which uses an oval shape to elongate the table both for stunning good looks and for usability in large gatherings.